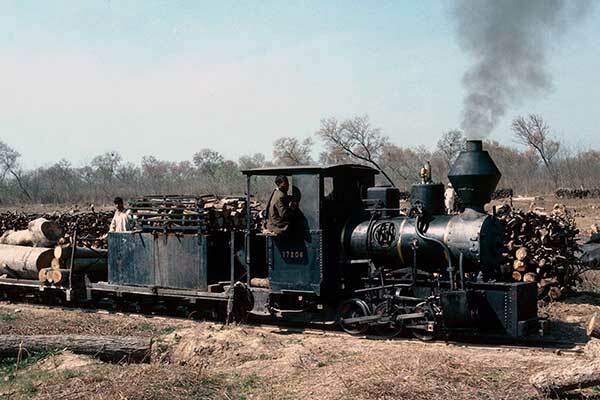 Caption - The Changa Manga Forestry railway near Lahore in Pakistan has seen very few visits from enthusiasts. Laid to two foot gauge, this glorious little Fowler 0-6-0 no.17208 was seen in February 1980 hauling a train of freshly cut logs. Wonderful stuff.